Talking about some of the best publications from the Federal Government, past and present. Government publications are more than just books. Guest blogger Kelly Seifert reminds us that maps and guides can be just as engrossing, especially at this time of year. If you’re planning on doing some travel around the country this summer, you can start your planning with the National Parks System Map and Guide. It features a map of the United States, including Guam, Puerto Rico, and the Virgin Islands, showing the locations of parks, historic sites, and other properties operated by the National Park Service. On the reverse side, an alphabetical list of each National Park System property describes its activities, services, and facilities. If you’re planning on exploring any of the 391 destinations of the National Parks Service this summer, this is an essential take along. You can also easily access this publication by visiting your local Federal depository library. Locate a library in your area here. To make your trip complete, check out these other great publications as well: 1) the National Trails System: Map and Guide, which includes descriptions of national historic and scenic trails, and 2) the National Wildlife Refuge System: A Visitor’s Guide, which contains a map showing national wildlife refuges that provide recreational and educational opportunities. The Visitor’s Guide also provides tips for visiting national wildlife refuges and lists refuges in all 50 States, Puerto Rico and the Virgin Islands, along with the best wildlife viewing season and the features of each refuge. Why leave the country for a little R&R when there are so many national treasures right on your doorstep? Happy Travels! This entry was posted on Wednesday, July 7th, 2010 at 9:23 am and is filed under Government Printing Office (GPO), National Park Service, Travel and Tourism. You can follow any responses to this entry through the RSS 2.0 feed. You can leave a response, or trackback from your own site. Thanks for sharing ! Keep the tips coming.. 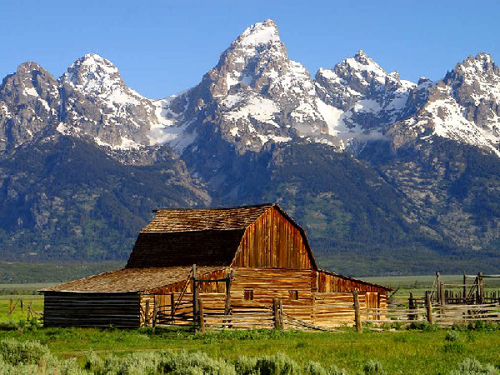 I will be visiting America and the Montana mountains in April 2011. Does your guide offer coverage of Montana? Keep up the good work. Where would travellers be without the knowledge of guidebooks! Emma: Thanks for the comment! Yes, this park system guide includes reference to national parks in Montana and to all of the national parks in the United States. However, if you are heading specifically to Montana, you may want to read more about two of the most important parks in America which are located there. Yellowstone National Park: Established in 1872, Yellowstone National Park is America’s first national park. Located in Montana, Wyoming and Idaho, it is home to a large variety of wildlife including grizzly bears, wolves, bison, and elk. Preserved within Yellowstone National Park are Old Faithful and a collection of the world’s most extraordinary geysers and hot springs, and the Grand Canyon of the Yellowstone. The second park is the Little Bighorn Battlefield, site of the famous “Custer’s Last Stand”. Little Bighorn Battlefield: This area memorializes the U.S. Army’s 7th Cavalry and the Sioux and Cheyenne in one of the Indian’s last armed efforts to preserve their way of life. Here on June 25 and 26 of 1876, 263 soldiers, including Lt. Col. George A. Custer and attached personnel of the U.S. Army, died fighting several thousand Lakota, and Cheyenne warriors. There are some incredible, and very diverse np’s in this great country of ours. I’ve yet to visit one I didnt like in some form or fashion. One of the great things about this country is it’s great np’s. Enter your email address to subscribe to Government Book Talk and receive notifications of new blog posts by email.